Wednesday 13 October 1915. Age 24. This is the only known photograph of Ernest. It shows him in a corporal's uniform and so was probably taken a few months before his death (perhaps in the spring of 1915) and before his deployment to France. It is not known where or on what occasion it was taken, nor is the significance of the baton apparent. The hat-badge is clearly that of the Norfolk Regiment. Ernest has no known grave. His honoured at the Loos Memorial, Pas de Calais France. 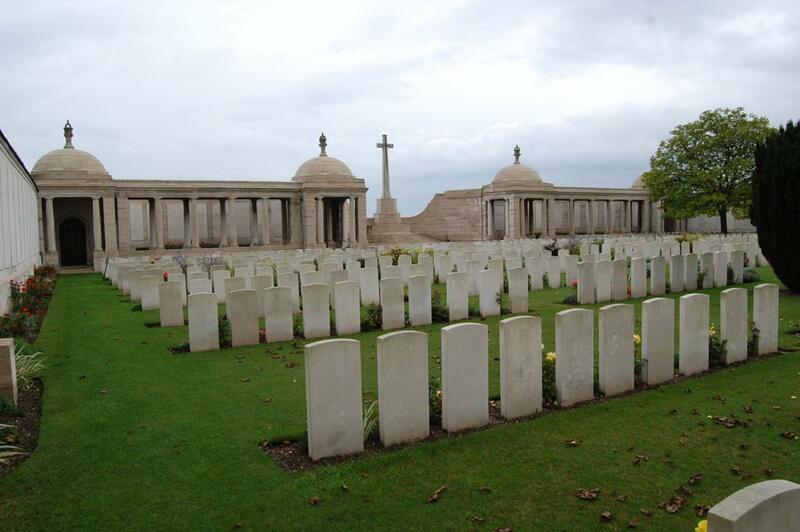 The Loos Memorial forms the side and back of Dud Corner Cemetery where over 1,700 officers and men are buried, the great majority of whom fell in the Battle of Loos. 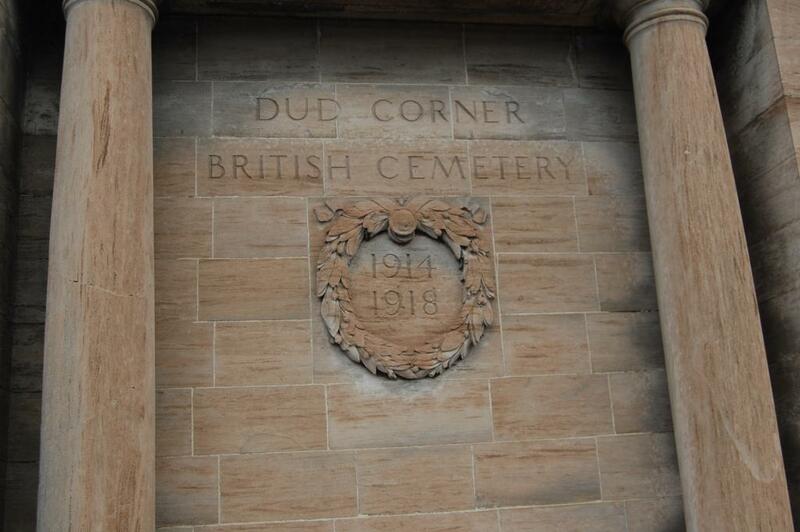 Dud Corner Cemetery, which stands almost on the site of a German strong point, the Lens Road Redoubt, captured by the 15th (Scottish) Division on the first day of the battle, is located about 1 kilometer west of the village, on the N43, the main Lens to Bethune road. The Loos Memorial commemorates over 20,000 officers and men who fell in the area from the River Lys to the old southern boundary of the First Army, east and west of Grenay, and who have no known grave. 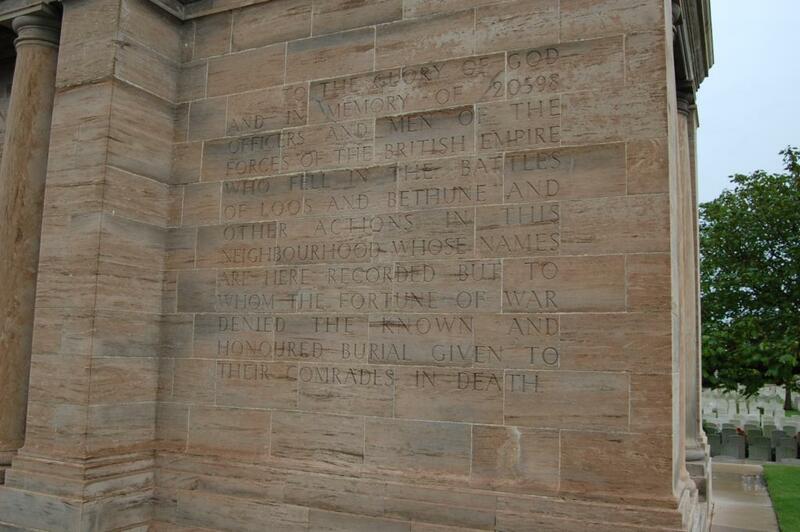 It covers the period from the first day of the Battle of Loos to the date of the Armistice. On either side of the cemetery is a wall 15 feet high, to which are fixed tablets on which are carved the names of those commemorated. At the back are four small circular courts, open to the sky, in which the lines of tablets are continued, and between these courts are three semicircular walls or apses, two of which carry tablets, while on the center apse is erected the Cross of Sacrifice. 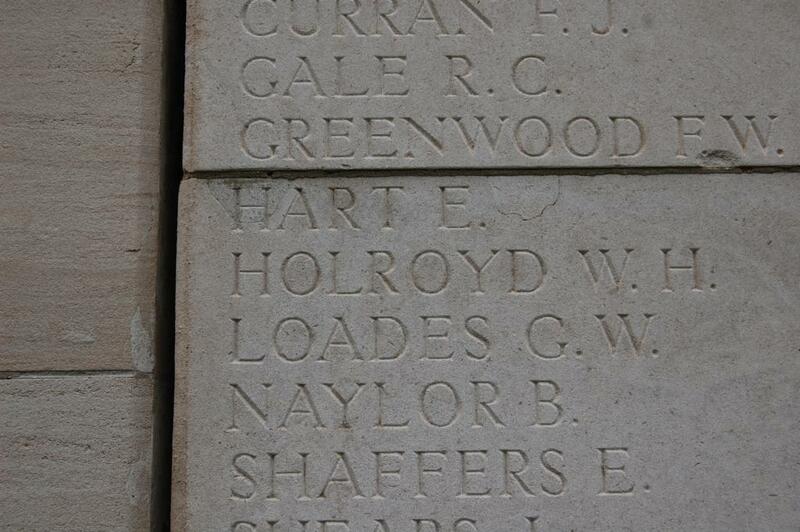 A close up view of the name "HART E."
Ernest was a student at Maidstone Grammar School from 1907 - 1911. 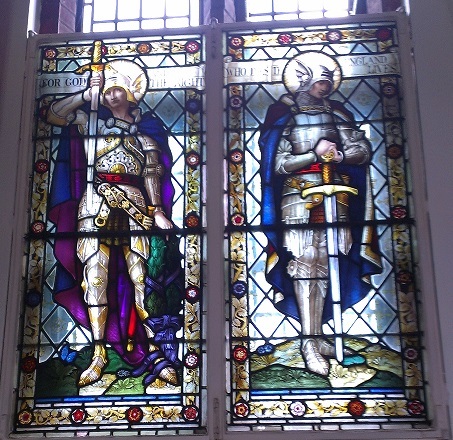 Maidstone Grammar School has a memorial window in the chapel dedicated to the former students who were killed in the war. In addition there is an honours board on which their names are inscribed. Maidstone Grammar School remembers the sacrifices of her members on a regular basis. In August of 2014, in observance of the 100th anniversary of the outbreak of war a special observance was made and is reported on pages 17-20 of the autumn edition the school paper "The Old Maidstonian". "Maidstone Grammar School prides itself on its history and the Old Maidstonians who fought and died in various battles are remembered on the School’s Remembrance Boards. 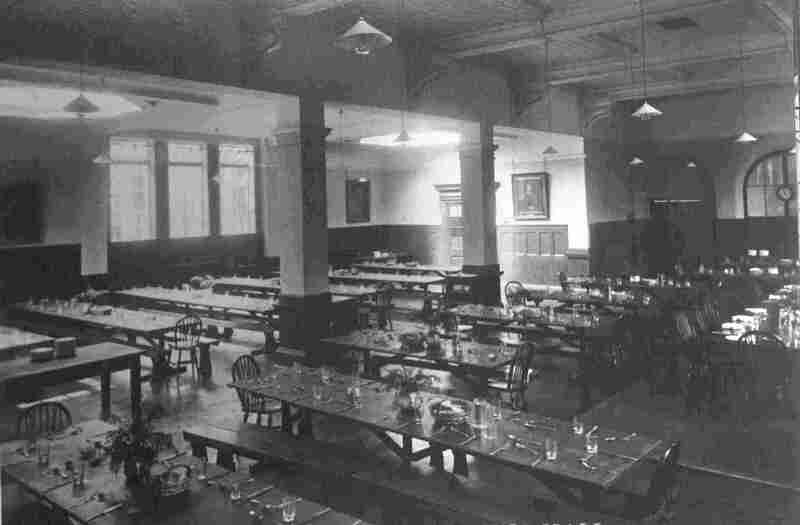 We have two boards in the main school hall that remember the 45 former students who died during the 1st World War, and Ernest’s name is there. . . . to acknowledge the service and sad loss of each of the 45 boys who died, we have a framed picture in the main school lobby placed on our Foundation Stone and surrounded by poppies to remember them. Tomorrow [13 October 2015], the picture will be changed from Henry Robert Mount who died in May of 1915, and replaced with Ernest Hart. It will remain there until 4th March next year when the next Old Maidstonian died. This summer four members of staff decided to spend a week in Northern France visiting each of the 45 boys’ places of burial/memorials. They did it off their own back, and thought it important to do during this significant year. And also, each year, we acknowledge Remembrance Day inviting former students and governors in to school to join the current student and staff body in the tow minutes silence. We will go on remembering them." 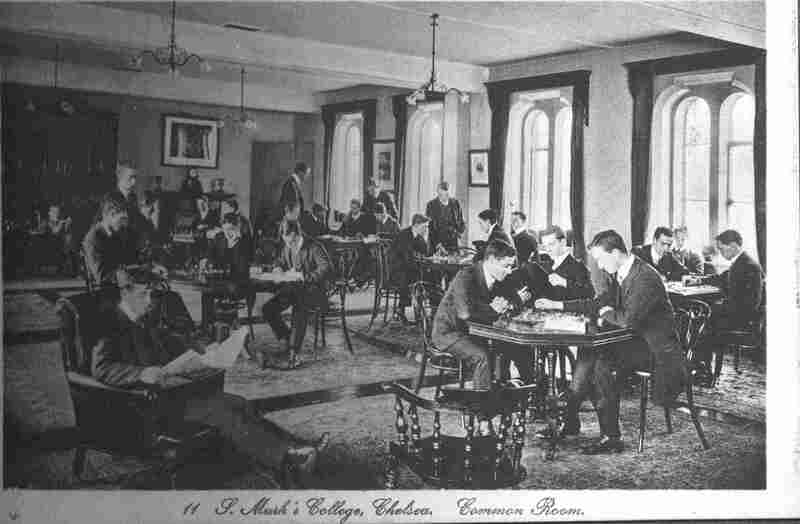 Ernest was an alumnus of St. Mark's College in London (see below for more details). 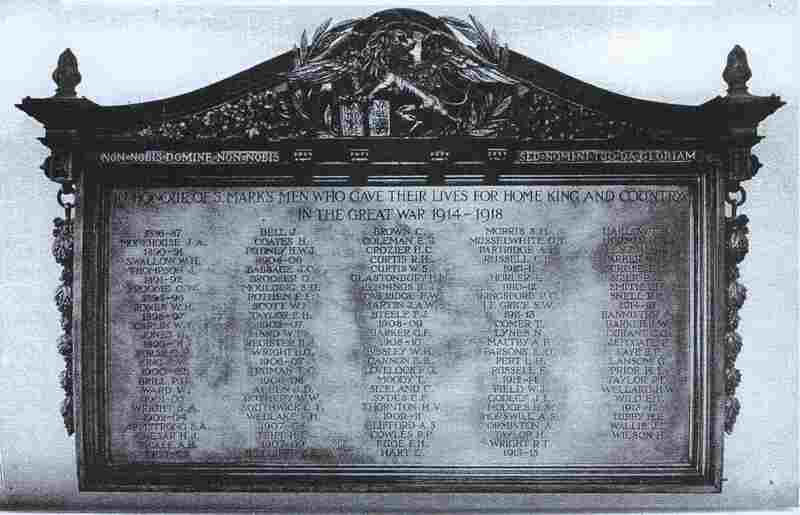 The college installed a memorial plaque in their chapel to commemorate those of their graduates who had made the ultimate sacrifice during WWI. Ernest is recognized on that table, his name being listed at the bottom of the middle column on the plaque. The interior of the new European War Memorial at Notre Dame de Lorette. It lists the names, without rank, military unit or nationality of those killed in this area of France during WWI. 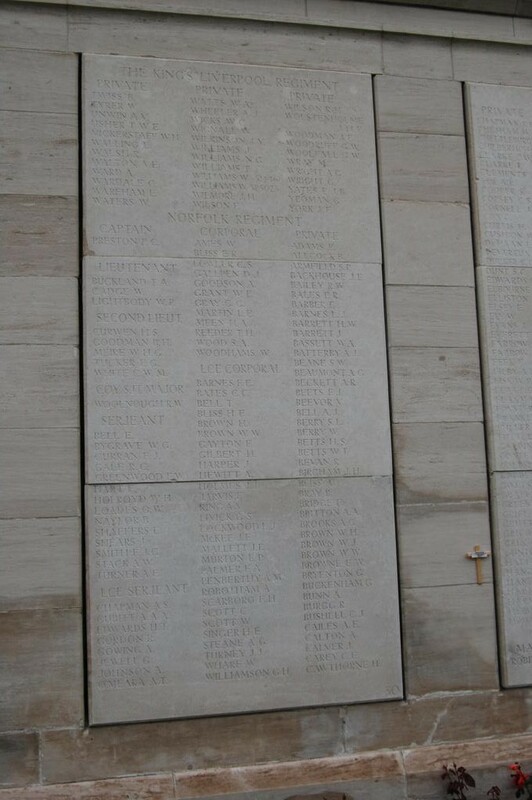 The interior walls of the large circular memorial are lined with panels giving the names in alphabetical order intermingling German and Allied names. 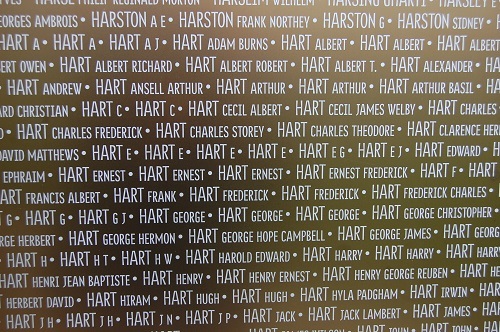 This portion of one panel lists many E. Hart and Ernest Hart names. One of these represents our Ernest Hart. The memorial is located about 12 km (7.5 miles) SSE of where Ernest was killed. The memorial was dedicated on 11 November 2014 by the French president. The information on the card gives us some insight as to his military career. We find his regimental number and some indication of his progression from corporal to serjeant, though no indication of the date of his promotion..
We also see that he has been awarded the Victory Medal, the British War Medal and the 1915 Star. These medals only came into being after the war and so he never saw or wore them. We also learn that he entered the French theater of war on 30 May 1915 and was killed in action on 13 October 1915. 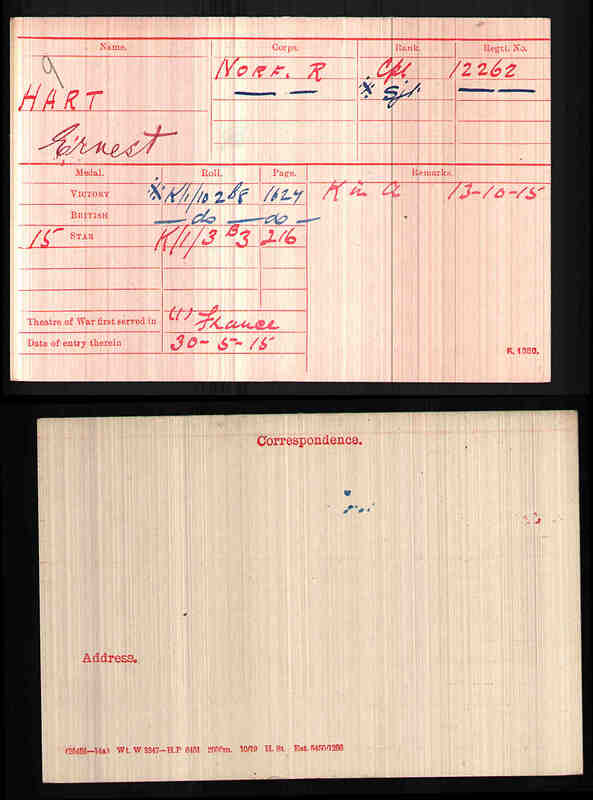 Judging by the colour of the ink on the entries, it appears that he entered the French theater as a corporal and then was promoted to Serjeant while in France. Sadly there is no further information on the back of the card. These medals are not exceptional. 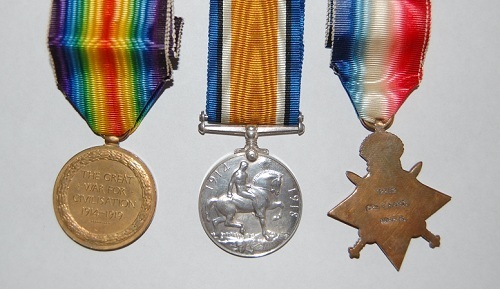 The Victory Medal (on the right) and the British War Medal (center) were awarded to all active service men who served . The 1914-15 Star is on the left. was awarded to those who served in France in that time period. On the edge of the two medals on the right is inscribed the notation "12262 SJT. E. HART NORF R.". These medals had never been worn by Ernest and had never been mounted for wearing, but are shown in the order for mounting; the ribbons have only been put on the medals for the first time to produce these photographs. 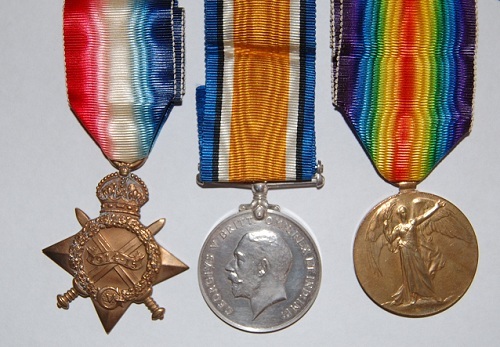 Colloquially, these three medals were referred to as the 'Pip, Squeak and Alfred'. The 1914-15 Star was awarded to all those who served overseas during WWI prior to November of 1915, but who were not eligible for the 1914 Star which was awarded to those who served overseas prior to November 1914. The recipients of the 1914-15 Star were generally those who enlisted upon the outbreak of war as part of Kitchener's 'New Army'. 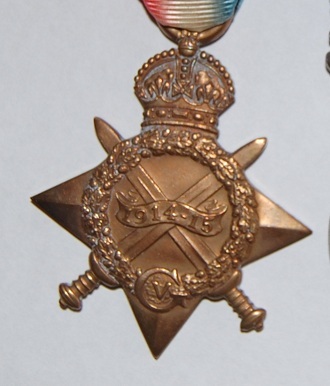 (Recipients of the 1914 Star were the regular force troops sent overseas on the outbreak of war -- the 'Old Contemptibles' of the initial British Expeditionary Forces). 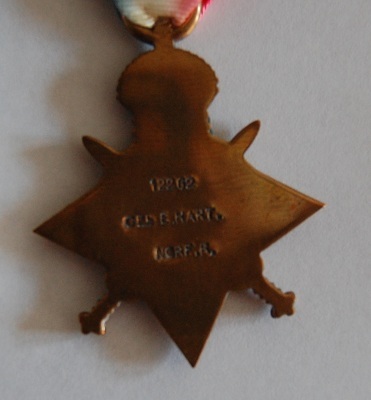 On the reverse of the 1914-15 Star is the inscription "12262 CPL E. HART. NORF R." This may reflect that at the time of award (when he entered the French theater) , Ernest was still a corporal, or it may reflect that his rank of Serjeant was not substantive ( a 'lance' rank -- although on the Commonwealth War Graves Site and memorial he is listed as a Serjeant) or it may just be an administrative error. The medals would have been sent to Ernest's parents, apparently in at least two shipments as we have the following letter which accompanied the shipment of the star (note that this occurred in October, 1920, five years after his death. The following points are of interest. The Star has been sent to Mrs. M.E. Hart. This is in contrast to the memorial inscription where Ernest is identified as the son of Mr. S.A. Hart. In both the memorial inscription and in this transmittal letter the address of Steven and Mary Elizabeth is given as 55 Milton Street, Maidstone, Kent. In addition to the medals, as the mother of a soldier killed in the war, Mary was presented with a medallion inscribed with Ernest's name. From the history of the Norfolk regiment we learn that the 7th Bn. was formed at Norwich Aug. 1914 and was initially assigned to Shorncliffe army base, near Folkestone in 35th Brigade of the 12th Div. In January 1915 it moved about 12 miles west along the coast to billets at Romney and Littlestone. A few weeks later in February it was moved to Malplaquet Barracks, Aldershot. On 4 August of 1914 England declared war on Germany. This led to an immediate need to greatly increase the size of the British Army and recruiting was strong during the early months of the war. In September the recruiting drive was greatly enhanced by the now iconic poster of General Kitchener, who had been appointed in charge of the army, declaring "Your Country Needs YOU". However it is likely that Ernest joined up before this poster was used. As far as we know Ernest was enlisted into the newly formed 7th Battalion of the Norfolk Regiment, with which he served at his time of death. The photograph above shows him as a corporal and it was likely taken prior to his deployment to France which occurred on 30 May 1915. Since it would take a while to become a corporal and also some time to receive the necessary training to be deployed it is likely that he enlisted in the initial rush to arms that occurred in August and September of 1915 (creating what became known as Kitchener's New Army). In that his 1915 star was awarded to a corporal this is again an indication that he was deployed as a corporal. Prior to his death on 13 October 1915 he was promoted to Serjeant. The regimental war diary for the 7th Bn. of the Norfolk Regiment was started on 29 May 1915, the day before Ernest deployed to France. From that time, until the time of Ernest's death, we have a fairly accurate day by day record of the regiment's location and its activities. From this we can surmise where and what Ernest was doing during this period. It is instructive to read through this diary as a means of obtaining information on Ernest's movements and activities during his time in France. There were 14 riding horses and 52 pack and draught horses. The transport component consisted of 3 officers and 105 other ranks (O.R.s). They traveled south to Southampton and then crossed to Le Havre in France. In two trains leaving the later afternoon of the 30th the headquarters of the 12th Division and the 35th Brigade together with the four companies and headquarters of the battalion left for Folkestone where they crossed to Boulogne in France on the S.S. Invicta. At Boulogne they marched from the docks a couple of miles to the camp at Ostrohove, and spent the night there. At this time the battalion had a strength of 30 officers and 954 O.R.s. On the 31st they left in the morning from Pont de Briques in Boulogne by rail to Lumbres via St. Omer. There they went into billets in the local area. It should be noted that billets might be something such as a barn or out buildings for O.R.s with perhaps a bedroom or two in a house for the officers. For the battalion which apparently had many Londoners in its ranks, it would have been infuriating to learn that on the evening of the 31st the first Zeppelin attack on London, by the LZ-38, occurred. It dropped 150 high explosive and incendiary bombs killing and wounding 42 people in the city. At the same time they were close enough to the front (about 25 miles) in these billets to hear any significant artillery shelling. The war would have become even closer and more personal and they would have likely been raring to avenge the attack. 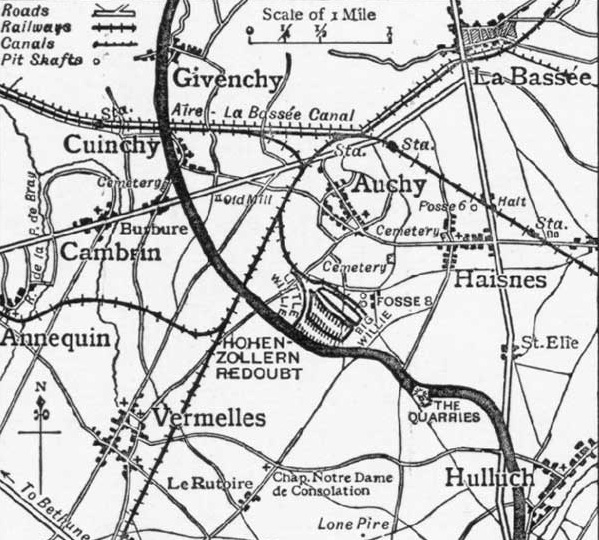 On arrival in France at Boulogne, the battalion moved via St. Omer (a well known rail center) to Lumbres where they spend a few days billeted around Quelmes. From there they moved to Renescure for a few days and then to Armentieres where they were billeted for four months, alternating time in billets with time on the line in Ploegsteert Wood on the southern edge of the Ypres salient. They shared a section of the line with the Royal Berkshire Regiment, spelling each other with one Regiment forward and the other in billets. They remained in these billets at Lumbres until the 5th of June when they moved to Armentieres and then to Oosthove farm near there and in a rear position behind the lines at Ploegsteert Wood on the southern edge of the Ypres salient. They were given a training period on trench warfare by the 6th Gloucester Regiment and also performed trench and shelter construction activity under the supervision of the Royal Engineers. They constructed a new communications trench which was named the Norfolk communications Trench, in that area. The training and construction activities continued for much of June. The diary notes that the weather was fine in June and there was only one accidental casualty, a man who was hit by shrapnel while walking in the street of Armentieres. During July things became a bit more active. There were practice bombardments of the BIRDCAGE, a German bunker that remained in German hands until almost the end of the war, in spite of many attempts by the allies to take it. There were mines blown by the Royal Canadian Regiment nearby. The battalion continued to build trenches and man the lines off and on. Towards the end of the month they started a series of rotation with with Royal Berkshire Regiment. This month, with the increased activity they started to take casualties with five men killed and 22 men and one officer wounded. In August the activities of July continued but enemy fire of various kinds (artillery, sniping, etc.) was gradually increasing. They worked with the artillery to improve communications and responses to attack by improved signals and mapping. The work on improving trenches continued with shelter slits being added to the communications trenches. Now experienced to some extent they took on responsibilities of training newly arrived troops and spent the time between 17 and 23 August familiarizing the KRR (King's Royal Rifles) with trench warfare. The increased level of activity led to increased casualties and the battalion diary for the first time includes a casualty list for the month listing, by day, the number, rank, and name of the casualty and whether wounded or killed. About 6 men and one officer were killed with about 19 wounded, most of those on the 16th when a high explosive shell fell on a group of men. The list also includes the company that the casualties belonged to, with B company accounting for most of the casualties. September continued much as August. Time was spent in the lines, working on trenches and back in the rear areas. Note is made of the success of snipers destroying enemy periscopes. Shelling occurred off and on. Then on the 25th, the day of the allied attack at Loos, 20 miles south of the Ploegsteert Wood, the battalion stood to in the rear lines and there was increased shelling from both sides. On the 26th orders were received to proceed to Merris and then on the 28th they were taken by motor bus to Gonnehem behind the lines in the vicinity of Loos. The battalion went into the line near Loos between the Chalk Pit and Loos on the 30th. This movement was to provide additional troops, and many divisions were moved to the Loos sector. Amongst these divisions was 12th Division containing the 35th brigade of which the 7th Norfolks were one battalion. To provide the required additional troops, other divisions were moved to the Loos sector. Amongst these divisions was 12th Division containing the 35th brigade of which the 7th Norfolks were one battalion. The battle of Loos, an attempt by the British forces under French and Haig to break through the line started with artillery preparation and the release of chlorine gas on the 25th of September. While some progress was made, no breakthrough occurred and continued small scale attempts were made in successive days. Artillery barrages from both sides were significant. To provide the required additional troops, other divisions were moved to the Loos sector. Amongst these divisions was 12th Division containing the 35th brigade of which the 7th Norfolks were one battalion. Ernest Hart's number was 12262. These were men that he enlisted with. All of these are C company casualties and it is likely, then, that Ernest was with C company. We cannot be absolutely sure. 12265 Pte. Harlock, H. of B company was wounded on the 4th. While in billets at Philosophe, they were shelled frequently by long range shelling, leading to additional casualties and disruptions. After some rest and practice at bombing (throwing grenades) the battalion received orders on the 11th for taking over trenches for a proposed attack on the 13th of October at 2:00 pm. The situation for the attack is shown in the following diagram of the whole area, indicating the placement of the 12th Division, containing the 35th Brigade which contained the 7 Norfolks. Intensive bombardment commenced and men of C & D companies got into position on their ladders. At the same hour the bombers of the 5th R. Berks started bombing up from pt 54 to pt 46. 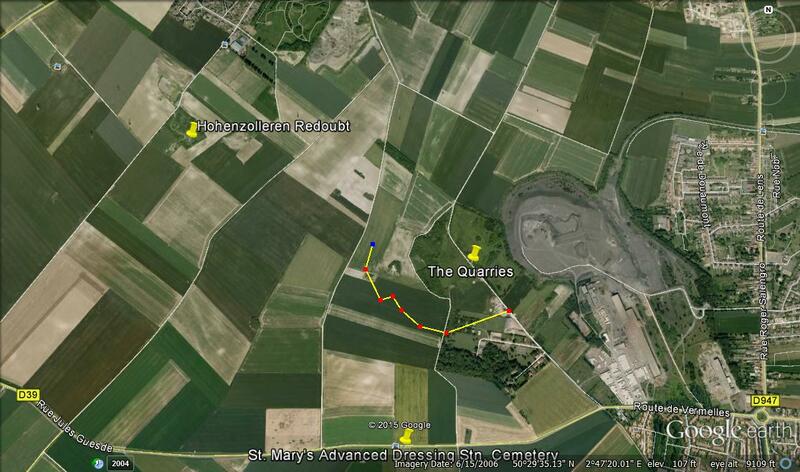 Attack was launched by 7th Norfolk Reg't with the Suffolk Reg't on our left and the 6th Buffs on our right. Unfortunately the smoke had cleared by this hour and our objective was clearly seen. [By some mistake the smoke cloud which was being produced by the Guards, stopped at 1:40 pm] The enemy could be plainly seen manning their parapet numbers estimated at 1 man per 1 1/2 yards. The greatest damage done was by a German M.G. [machine gun] in a sap at F which enfiladed the attack which according to the scheme should have been knocked out by our trench mortars which unfortunately did not appear to have been successful. This same mortar should have demolished the barricades at the tap head in front of 54 and at G. This also was not successfully carried out & and owning to this one squad was wiped out in getting through. About 50 men managed to gain a footing in the German trench on the left and took about 200 ft of trench. This they held with bombs til the supply failed, when they were forced to retire. A company reinforced but were unable to reach their objective. With this reinforcement went A and 1/2 B Company of the R. Berks. which had come up in support. Our bombers under Lieut. H.V. Franklin managed to bomb up to pt H. where a barricade was erected. Also trench at I was clocked. B Company which was in support, according to the scheme endeavoured to follow up the Berkshire bombers on the right but were impeded by the confusion in the trench and by these bombers not being able to make headway. It was seen to be useless to send any further reinforcements over as they were mown down by the German M.G. within the first 20 yds. Our casualties in the attack were Killed 66 Wounded 196 Missing 160 O.R. 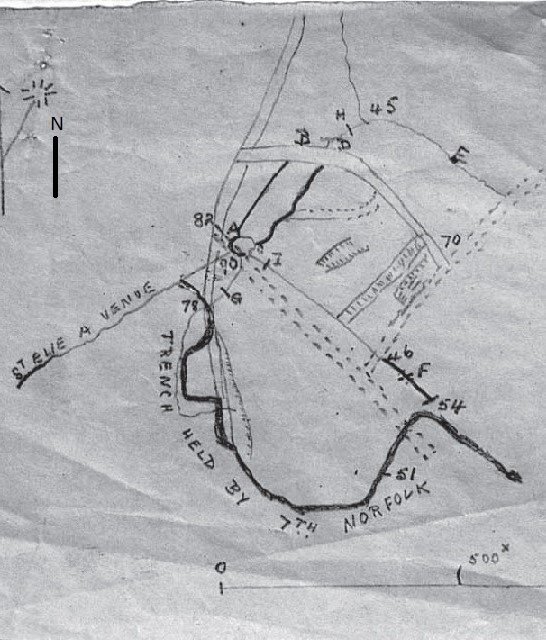 A Sketch map accompanying the operations order for the attack. The one identified feature on this map, the St. Elie Avenue does not appear on the map at left or on current maps. The above image shows the area of the battlefield. I have superimposed on it (the yellow line) an approximate location of the line held by the Norfolks as shown on the operations sketch. The quarries are a rough bit of ground which rise a few meters above the plain giving a relative strong point. Just to the left of the quarries is a similar small bit of land (with a white splotch in the photograph) which similarly creates a strong point and accounts for the indentation of the line on the left edge of the front. I have placed the line about 100 meters from the strong points. 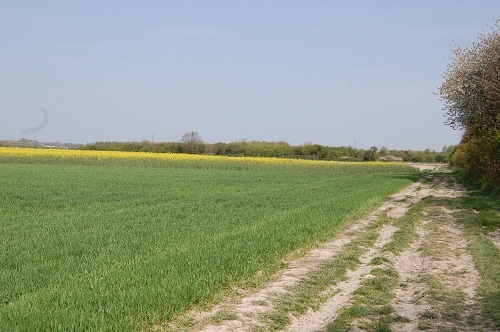 It is not clear which of the attacking companies is on the right and which on the left of the line, but it seems that somewhere on this line Ernest was killed as he led his men in the attack. looking south from the left edge of the line (roughly the left most position in the Google view above), towards the out post with the quarries behind. Looking towards the quarries from roughly the position of the second red dot from the right in the above photograph. The terrain is completely flat with the quarries offering enough elevation for a strong point of defence. I left a memorial poppy cross for Ernest at this Norfolk Regiment unknown and then placed Ernest Hart's medals at the top of this headstone for the photo. 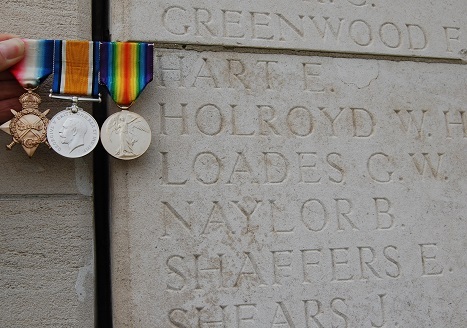 His medals beside his name on the Loos Memorial at Dud Corner Cemetery. And with this I end the record of the 7th Battalion, Norfolk Regiment, for it was in this attack the Ernest Hart was killed. The after action report listed above indicates that 66 O.R.s (other ranks, not officers) were killed and 160 were missing at the end of the attack. The Commonwealth War Graves listings indicate that the Norfolk Regiment had 165 fatalities that day. Of these 165 only 6 have a known grave; all others are commemorated on memorial panels, almost all of them at the Dud Corner Cemetery. 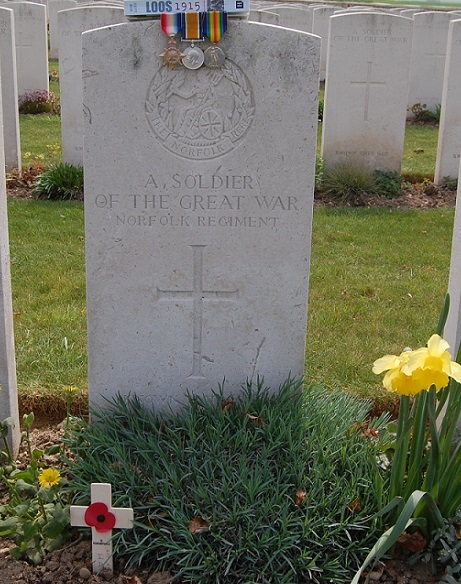 The Commonwealth War Graves Registry lists 165 soldiers of the Norfolk Regiment as having been killed that day. 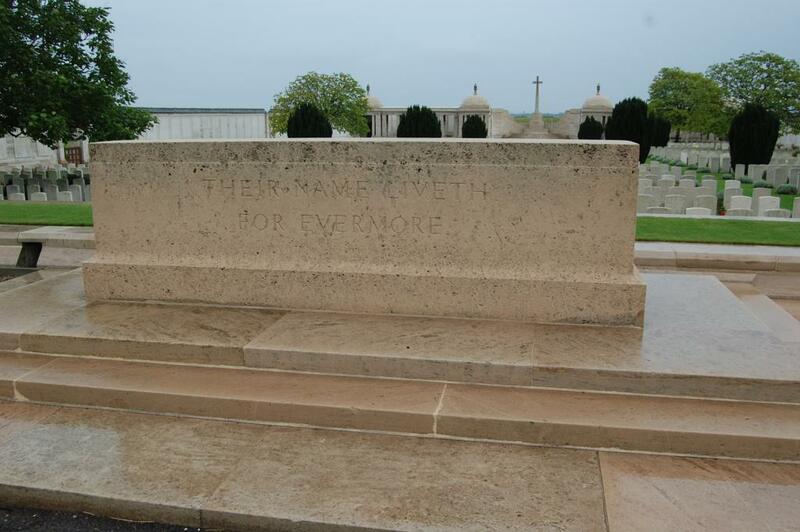 All but one of these are in unknown graves and are commemorated on the Loos Memorial at Dud Corner Cemetery nearby. It is likely that many of those whose bodies were buried were placed at what is now know as St. Mary's A.D.S. 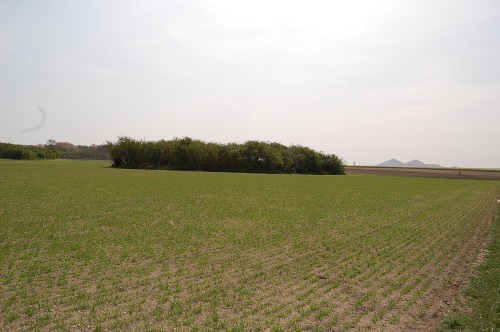 (Advanced Dressing Station) Cemetery located about 500 meters west of the battlefield on which they fell. 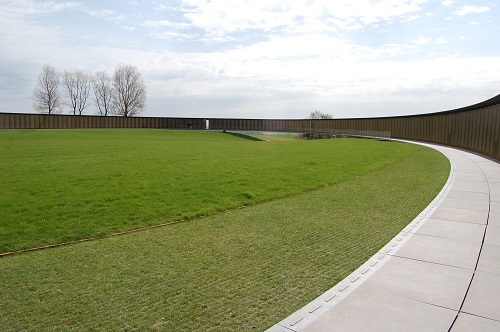 There are almost 2,000 soldiers buried here, over two thirds of whom are unknown. It is likely that Ernest Hart's grave would be here if he was in fact buried. Of the graves of the unknown I could only find four who were identified as being from the Norfolk Regiment. You will have noticed that we have almost no record of Ernest at a personal level during his stay in France. Yet, remarkably, we do have two eye-witness accounts of his death (possibly from the same writer). As recorded further below on the account of his childhood and pre-military life, Ernest was raised as a member of St. Michael's parish in Maidstone and later attended St. Mark's College in London. 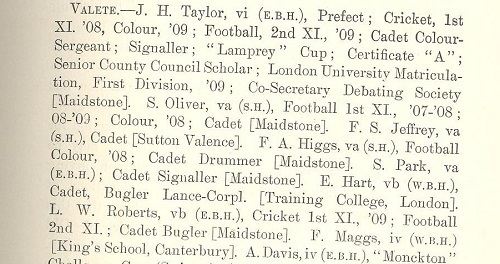 Ernest was also an 'old boy' of St. Marks College in London. This college had an annual yearbook to which graduates, staff and others would contribute information and articles. In the 1915 edition it was reported that "Ernest Hart listed as a corporal serving with the 7th Norfolks". During WWI the editions of this became less scheduled and they tended to occur when they did. In the May issue of 1916 it is said that they deeply regret the deaths in active service of a number of named students. Among those listed is Ernest Hart. The piece continued that "The Committee wishes to place on record its deep sympathy with the relatives and friends of those who have fallen.."
"We have also received the following letter concerning the death, in action, of E. Hart (1909-11). It is a friend of his in the Norfolks who writes: - 'The Germans opened with shell and rifle fire before we had quite got through our barbed wire, and several of the lads were hit, Ernie being amongst them, his last words being,'Come on lads.' He was leading his men over the parapet of the trench, as he was platoon commander, and was shot in the stomach, death being almost instantaneous.' "
In reading this we might conclude that Ernest reached the German trenches. Since the forces withdrew from these trenches later in the battle it may be that this is the reason that his body (which would have been left behind) was not interred in a marked grave leading to his name being recorded on a memorial plaque. 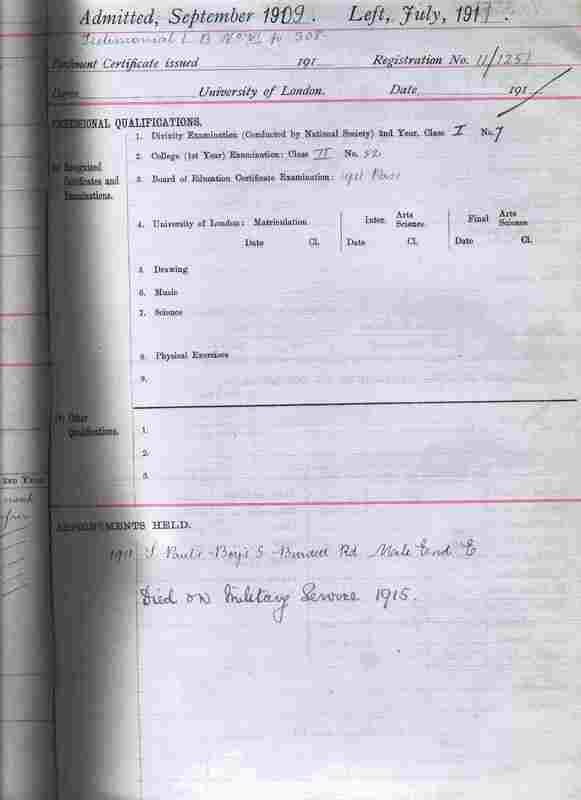 So in reviewing all this information we find that Ernest Hart, a sergeant in the 7th Bn. Norfolk Reg't was killed at about 2:00 pm on the afternoon of 13 October 1915. He was leading his men, as a platoon commander, 'over the top' to attack the German lines, almost certainly with C company, when he was shot and killed. The place of death can also be fairly accurately located, within a hundred feet or so by examining the operational maps as well as various other battalion, brigade and divisional maps of the battle. He was in a trench on a stretch of the line between Fosse 8 [the name of a mine] and the Quarries. 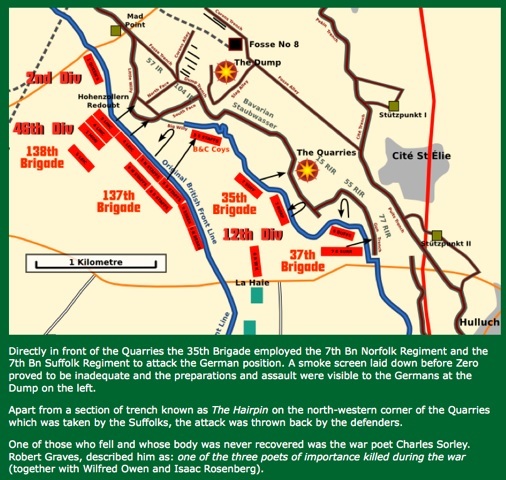 A photograph taken in the vicinity of Vermelles towards the Hohenzollern Redoubt (see map below) in the minutes before the attack in which Ernest was killed. The artillery shells exploding in the background are on the German front line which was the first objective of the attack; they are part of the preliminary barrage for the attack. The white lines running across the photograph indicate the trenches occupied by the British troops. There were thousands of them in these trenches at the time of the photograph, yet they are not visible in the photograph. A view of the trenches in the Loos area about the time of the attack. Note the depth of the trenches -- the tops of the men are not visible above the ramparts. The ground could be very wet and water remained for a long time in soggy ground that was not well drained -- whence the duckboards on which the men are standing. Note, too the crosses in the back left indicating graves of casualties. It was too dangerous to risk the lives of the living to remove the bodies of the dead. In subsequent bombardments these graves were often blown up. This area seems to be of an enlarged width -- possibly caused by shelling; beyond the graves it is again narrow and various dugouts and other shelters are apparent. 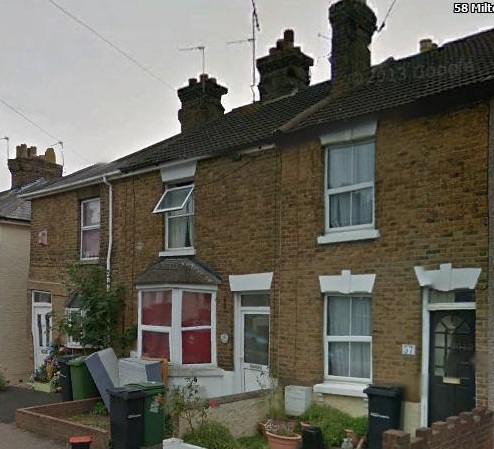 Ernest was born on 16 February 1891 likely at 51 Milton Street. He was the younger son of Stephen and Mary (Mobbs) Hart who were married in the fourth quarter of 1886. His older brother was Albert born about 21 months before on April 17, 1889. Stephen and Mary were childhood neighbours who had grown up a few blocks away at 15 and 16 Prospect Street, so the family was well established in the neighbourhood. 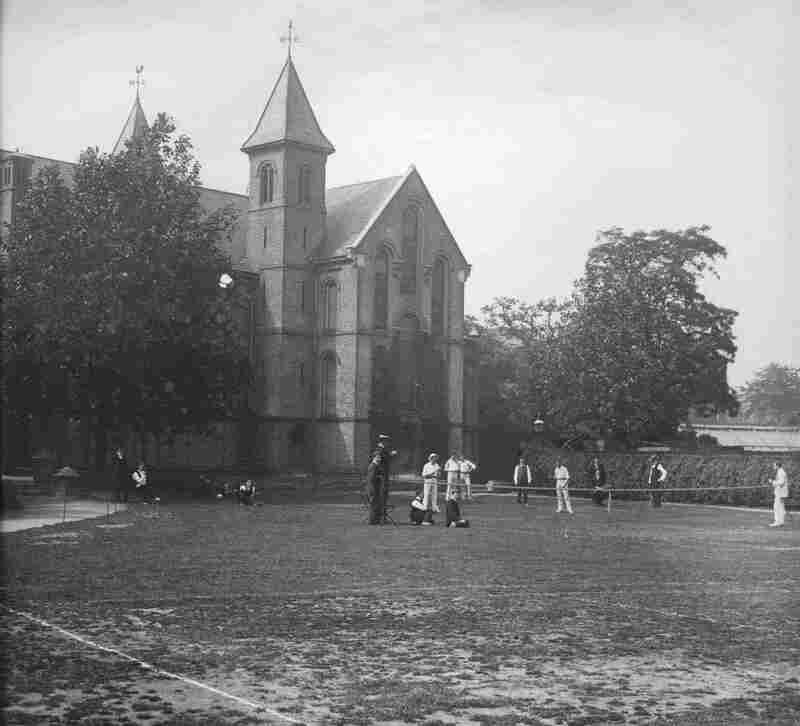 The children were likely christened at St.Michael's church which was close by and it was at St. Michael's school that the two boys were educated. Ernest went on to become a 'PT' (I believe that is a pupil teacher) at Maidstone Grammer School, while, a couple of years earlier, Albert had the same training at St. Michael's School. From there they both went to London to study as teachers at St. Mark's College. 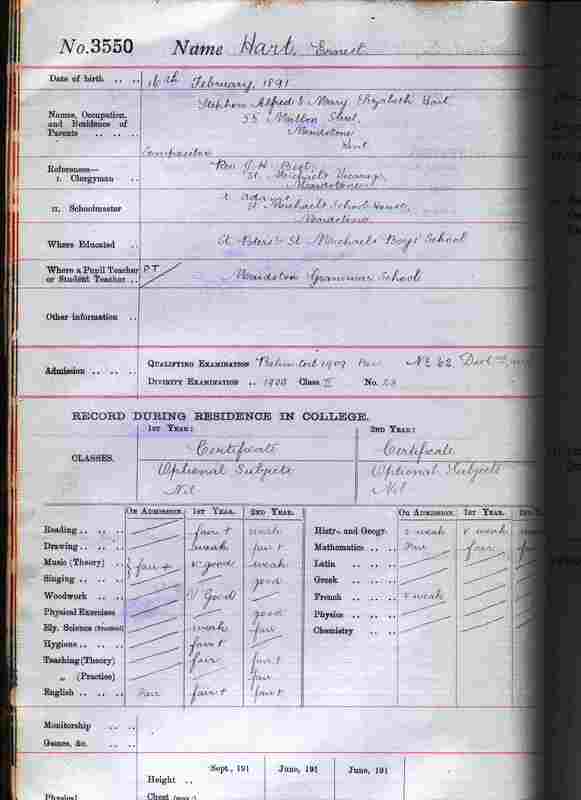 This much we know from the census of 1911 which shows Ernest as a student at the college, as well as from research done by Ms. Nicola Chaffe of the Marjon College library in Plymouth, Devon (Marjon is the successor to St. Mark's and St. John's college which was an amalgamation of the two colleges). We know little of the childhood of Ernest and Albert and are much indebted to Ms. Chaffe for the information that follows. In early family life, Ernest and Albert grew up surrounded by many cousins as their father, Stephen, was one of at least five children as was their mother, Mary. Stephen was a compositor which meant that he was literate (literacy was just generally occurring in Britain at that time) and that level of education was obviously a significant factor as it related to the raising of his children. That focus on education has continued through the generations of Stephen and Mary's descendents. 55 Milton St as it appears today. It is the house with the red curtains. It may not be the same building as that lived in by Stephen and Mary when they received Ernest's 1914-15 star (see medals above) in 1920; the family were living there by 1911. As a child it is evident that Ernest "was an active church member, not just a resident of the parish. 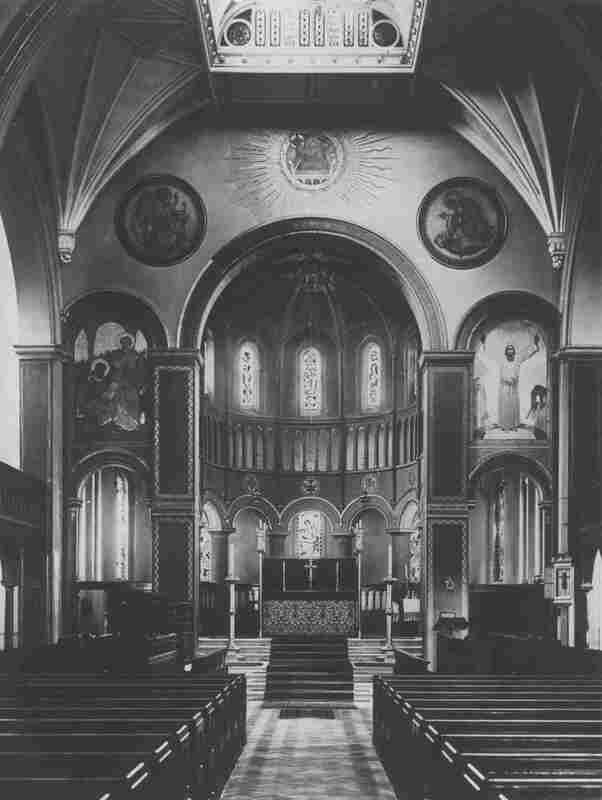 The mission church in Milton Street, no longer in existence, was a building used for outreach to the less affluent and less churchy streets of the parish - it would have had its own Sunday school, to which Ernest very possibly went as a boy, and, as we can see, its own choir in which he sang, probably accompanied by a harmonium rather than a pipe organ. The grander and more well-to-do parishioners of course worshipped at the main church but some of them would have taken a kindly interest in the youngsters at Milton Street and probably volunteered to teach the Sunday School and so on. Evidently Ernest impressed them and/or the clergy as a bright young man who was going to do well." Ernest attended Maidstone Grammar School from September 1905 through July 1909. The image below is from the list of students of the time, indicating the start and end dates of their attendance. Interestingly, for Ernest we find that the date of leaving is entered as July of 1907 (see below of more comments on this entry, which is considered incorrect). In this 1905 edition of "The Maidstonian" we see (page 49) Ernest Hart's name in the Salvete (welcoming section). It indicates that he is assigned to W.B.H. iii which stands for West Borough House, third form. 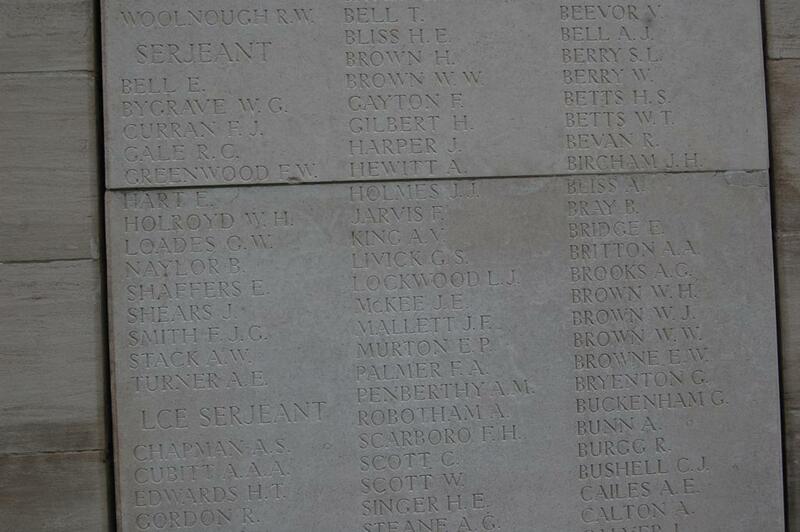 This image shows part of the Valete (parting section) which tells us that Ernest is a Lance Corporal, bugler in form vb (W.B.H.) and that he is destined for a training college in London. 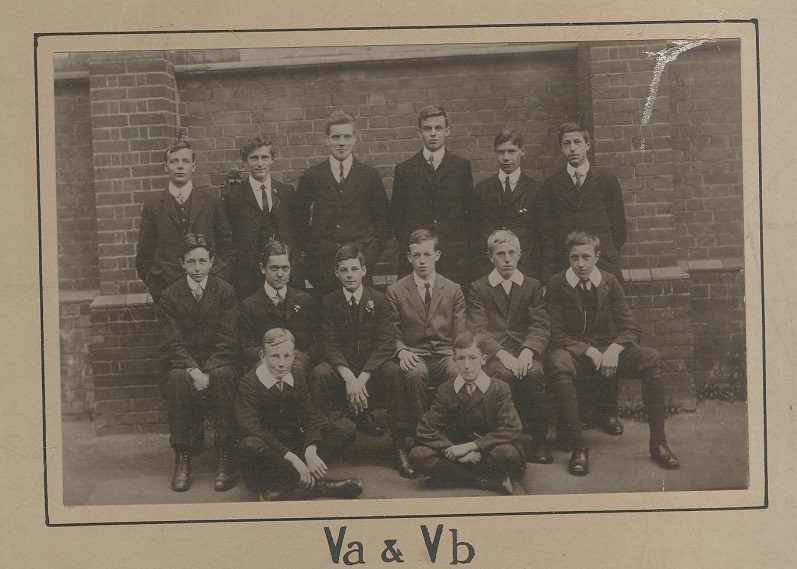 The following photograph shows form Vb in 1909, the year that Ernest left the school. 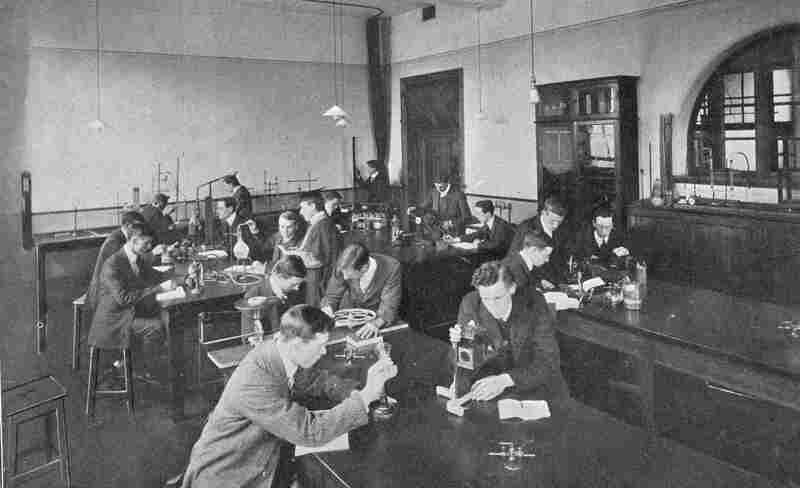 The students in the photograph are not identified so we cannot be sure that Ernest is in this photograph, but it is likely he is. Comparing this photograph with the one we do know is him (shown above) it seems likely that in this photograph Ernest is third from the left in the back row. At this time Ernest was about 18 years old. 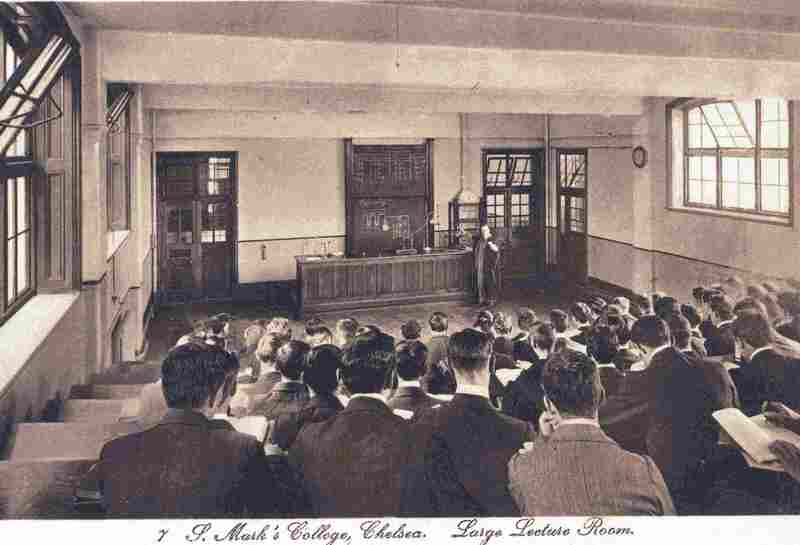 In 1909, after having been a pupil teacher at Maidstone Grammer School, Ernest applied and was accepted as a teacher trainee at St. Mark's College, Chelsea on Kings Road in London. His application included some level of support from A. Adams, the headmaster at St. Michael's and from the Rev. J.H. Best, rector of St. Michael's parish as these names appear on his student record at the college, and they would likely have given letters of reference. 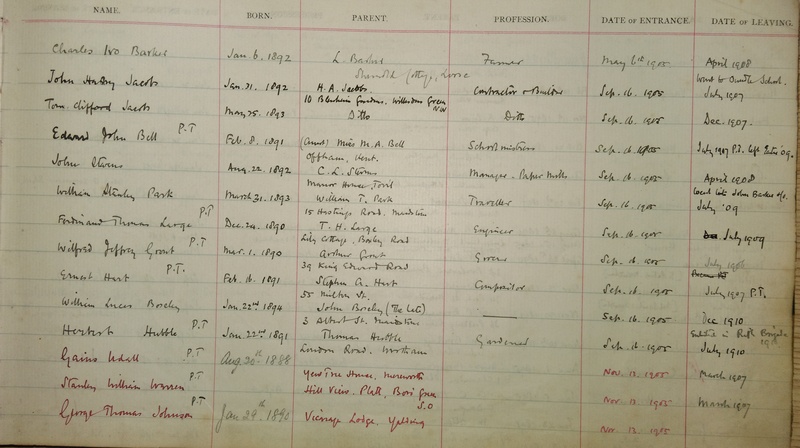 Ernest's student record is not very extensive being only two pages long with little personal information included. Sadly, the entries for height, weight are blank. While we can see the various subjects that Ernest took in the program it is not clear as to what level is attained. It is also not exactly clear what the rating system was -- we can be sure it was not nearly as inflated as is now the norm! 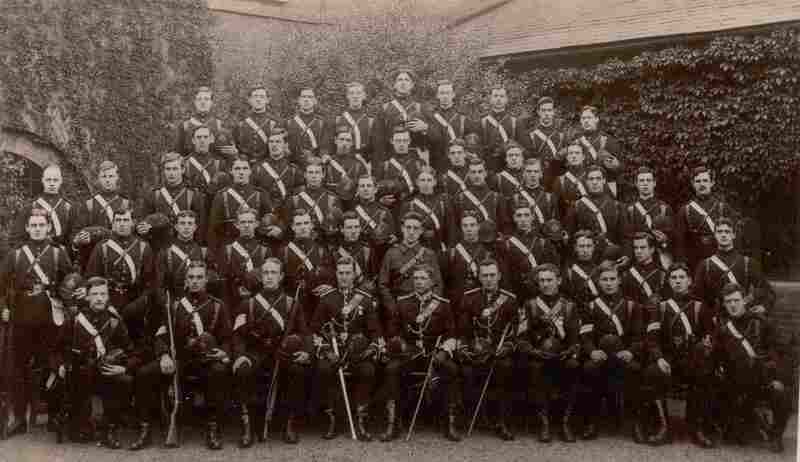 At the time that Ernest was a student, all students (unless exempted for some special reason) were members of the territorial army corps. It is highly likely that Ernest was a member of the corps and this may be part of the reason he advanced very quickly from private on enlistment in the summer of 1914 to serjeant by the time of his death in October 1915. The penultimate entry on the record is that he was given an appointment, on leaving in 1911, at St. Paul's Boy's School on Burdett Rd., Mile End, East London. His death is noted in the final entry. We are fortunate to have a number of photographs from the time period that Ernest and his brother were students at St. Mark's. They give some idea of the environment and lifestyle of that time. 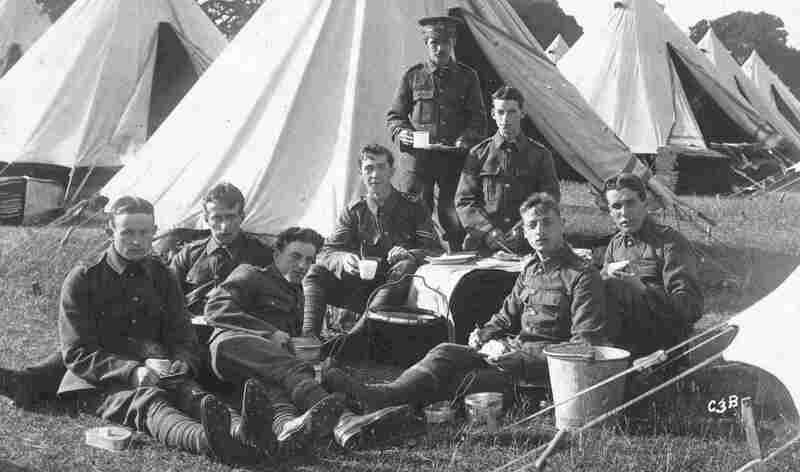 Arundel Camp 1909 - Territorial Corps, St. Mark's (10th Middlesex Regiment). Some of the members of St. Mark's at camp; Ernest or his older brother Albert may have attended this camp. Ernest and his brother Albert probably took some classes in this hall. This photograph was taken in 1911 and could include Ernest. A number of different sources have contributed to this record of Ernest Hart. 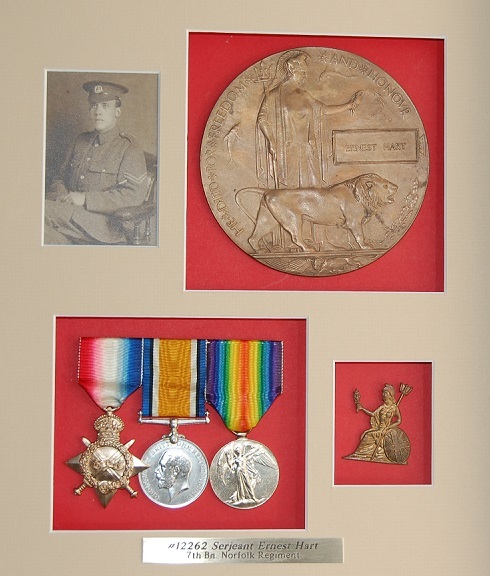 John Hart, his great nephew left the medals, photograph and a few other pieces of information to his daughter Christine Hart. 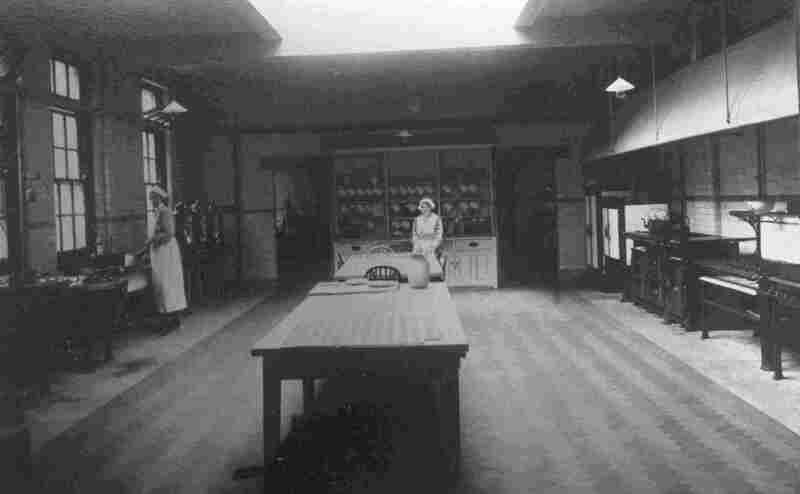 Ms. Nicola Chaffe of the Marjon College library in Plymouth, Devon, England provided an incredible amount of information on Ernest and his brother Albert and their lives at St. Mark's College. Without her very generous help this story of his life and death would have been much less complete and accurate. We especially thank her for this assistance. The National Archives of the United Kingdom from which the photocopy 7th Norfolk Battalion diary was obtained. Gilles Payen of the Loos Museum Villedieu who gave me a detailed tour of the Loos battlefield area in which the 7th Norfolks were active and also alerted me to the new European War Memorial at Notre Dame de Lorette. Leo Colsell for the battle map of the 13th of October 1915 showing the placement of the 12th Division and 35th Brigade. Private communications from Dr. Eleanor Relle of St. Michael's parish.